Steve thanks for the picts.No better way to spend a rainy sat.night.need some more late model picts. from 70's thru the 90's. Doing much better than me, although I am not sure I see Wales in there. Is the guy in the very front Henry Jacoby? Tilley, Dean, Abel, Rough, Brymesser are the easy ones. 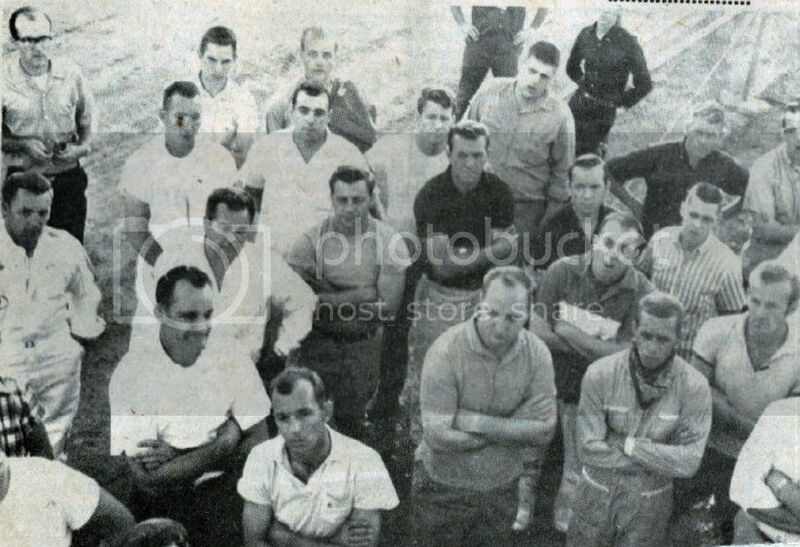 How about the guy in the front right, Gene Kohr??? One of the great guys in racing - it is Jim Sheaffer in victory lane. Of you see Jim at the races stop by and say hi. You will hear some great racing stories. I never tire of Jim's stories.